The River Tay is the longest river in Scotland and the seventh longest in the United Kingdom. The Tay originates in Western Scotland then flows easterly across the Highlands, through loch Tay, then continues east in the centre of Scotland, through Perth, where it becomes tidal, to its mouth at the Firth of Tay where it discharges into the North Sea. It is the largest river in the UK by volume and has a total catchment of approximately 2,000 square miles. 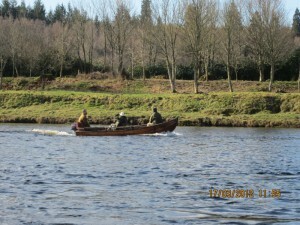 The salmon season on the river Tay commences on January 15th and continues through to 31st October. There are no obstacles on the Tay to the progress of Salmon and fresh fish will enter the river on every day of the year. On January 15th fresh salmon will be encountered as far upstream as Loch Tay. The best of the fishing is to be had from Dunkeld downstream and the best time of the year April, May and June and again in September and October. Most of the fisheries these days practice catch and release and most allow fishing with spinning baits from a boat or bank as well as fly fishing, my preferred method. 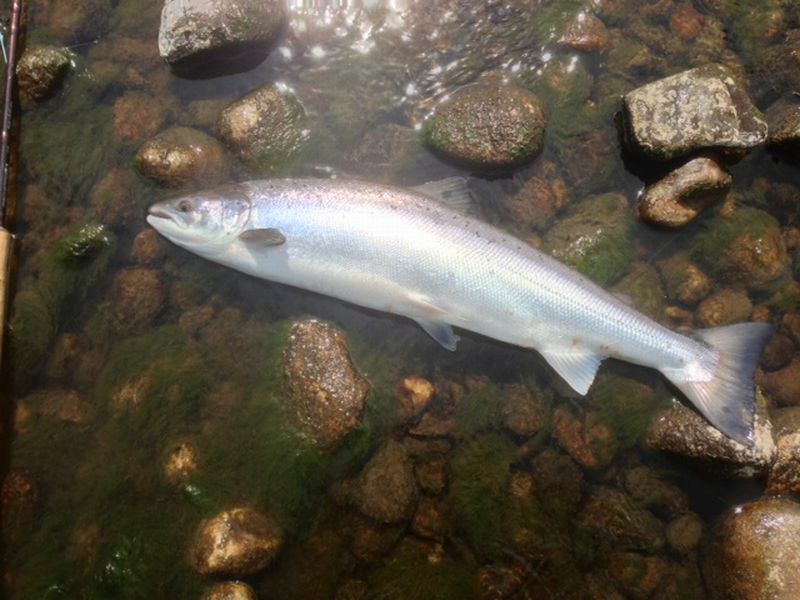 The Tay in 2013 saw a record year and whilst the catch returns are not as yet available May alone recorded in excess of 2000 fish. 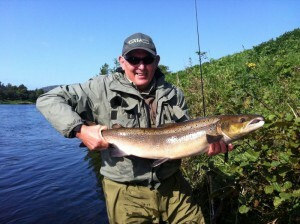 The Tay is best fished with a 15ft double handed fly rod rated for 9 and 10 lines when fly fishing. This would enable you to cover most of the lies that you will encounter. 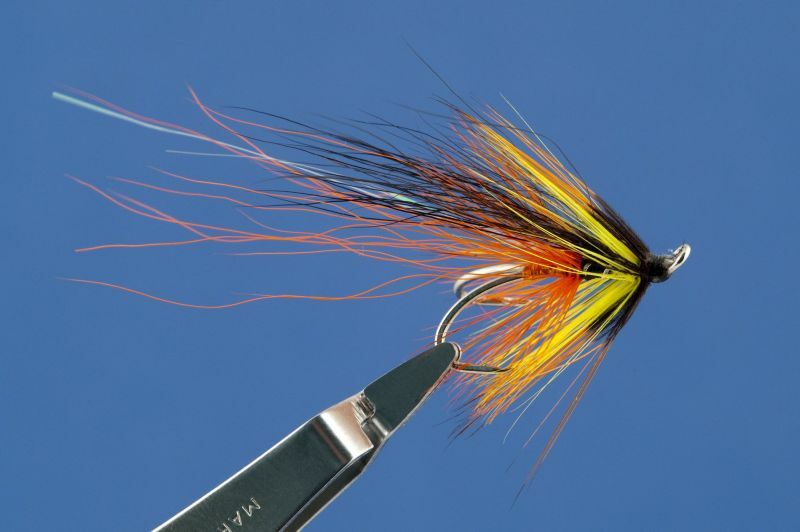 Fly sizes vary from large 5 cm tube flies in the spring to size 8,s, 10,s and 12,s in the summer. 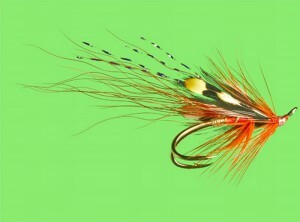 Standard patterns would be Cascade and Park Shrimps, Willie Gunns and more traditional salmon flies. 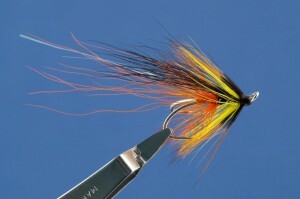 The flies photographed above is a cascade tied on a size 9 salar double. The Dee Monkey and Sun Ray Shadow are gaining more popularity locally. The great advantage of the Tay is that it is comparatively easy to buy individual days which allow you to be flexible and choose a number of different locations and not restrict yourself to a single beat for a week. Most beats have a ghillie that looks after the fishing, manoeuvres the boat if they have one and generally assist anglers and point them in the right direction. My advice if you have not salmon fished before would be also to book a guide for a few days to look after your individual needs and provide teaching if required. 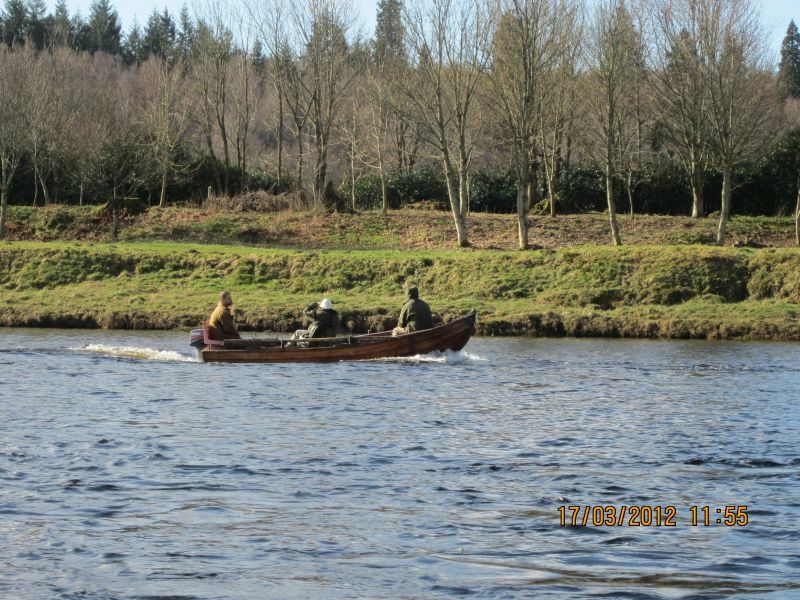 The River Tay is also a superb river for brown trout and grayling and permission to fish is easily obtained at the villages along its course. Brown trout fishing is best in the spring when the river enjoys a good hatch of March Browns and fish in excess of 50 cm are regularly caught. 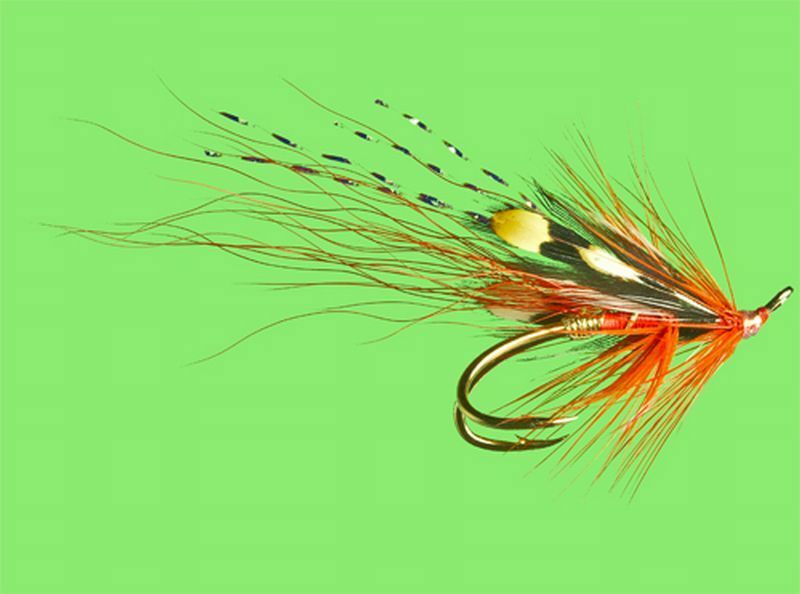 Most methods will be productive dry fly and Czech nymphing will invariably provide results. The best months are April, May and June. Grayling are productive throughout the system and the best months are from August through to December. Whilst grayling can be caught on dry flies the most productive method is to fish a nymph. Grayling up to 50 cm are also common.